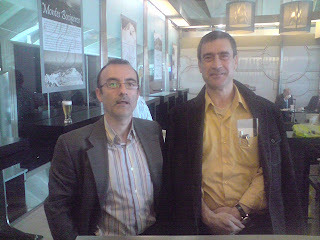 Me and full professor and colleague Juan Carlos Miguel, Loiu airport. What a coincidence! Directly published from my LG Viewty.